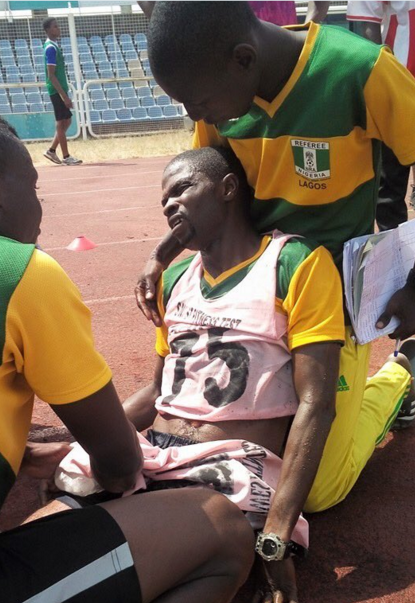 A Nigerian referee, Basil Giwa this morning collapsed and died during a fitness test of South West referees in Ibadan, Oyo State. Giwa whose actual cause of death has not been disclosed was quickly lifted up by his colleagues when he collapsed during the test but unfortunately died minutes later. May his soul rest in peace.